Have you heard of CRISPR gene editing technology and wondered if it could one day be used to treat or even cure Marfan syndrome? Many members of our community have asked about CRISPR so we wanted to provide an overview of this type of research and what its potential might be for treating Marfan and related disorders. 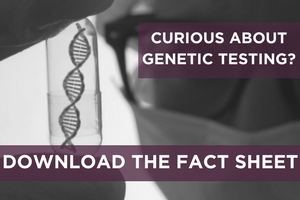 The science behind genetic testing for Marfan syndrome and related disorders has advanced rapidly in the past two decades. It wasn't until 1991 that the genetic basis (that is, the gene in which mutations occurred to cause Marfan syndrome) of Marfan syndrome was identified. And as recently as a decade ago, Marfan syndrome was usually diagnosed based on clinical features alone. Now, genetic testing plays a significant role in the diagnosis of Marfan and several of the related disorders. As families have become accustomed to the idea that the diagnosis does, in part, rely on the identification of causative mutations, it has raised the question of “well, if we know the mutation, can we fix it—and when and how.” In this spirit, you are now likely to see something in the news about a new gene editing technique called CRISPR. This is a technique that can replace altered and harmful sequences in any gene and “restore” it to a normal function. CRISPR is an acronym for Clustered Regularly Interspaced Short Palindromic Repeats which describes something about the characteristic of the DNA region that is attacked. In October 2017, two studies were published on how CRISPR technology could be harnessed to treat or prevent a whole variety of genetic conditions. (For summaries of these studies aimed at the general public, see this Washington Post article or this LA Times article). It's important to note that the experiments discussed in these articles were all done on cells grown in petri dishes, so their application to human beings is at least a few years away. David Liu, a chemistry professor at Harvard University and author of one of the studies, explained the underlying science in the Washington Post. Each of us carries two sets of 3 billion base pairs of DNA, one set from Mom and one set from Dad, in almost all of our cells. This human genome is predominantly made of just four letters: A, C, G and T. Those letters always pair up, A with T and G with C.
Errors in the genetic code in which one pair swaps for another, a change called a point mutation, can be disastrous. By far the most common kind of disease-associated point mutation in humans, and probably in all living systems, is the mutation of a G-C base pair into an A-T base pair. This class of mutation, changing G-C to A-T, accounts for about half of the 32,000 known pathogenic point mutations in humans. So how does this gene editing technique work? The CRISPR-Cas 9 technology can convert, for example, an A-T base pair to a G-C bases pair to correct a point mutation with almost no errors and without cutting the strand of DNA. There are also different gene editors to correct each type of point mutation in DNA. Before [it] can happen, researchers will have to determine the best way to deliver the base editor machinery to the right tissues in the body and into the right cells. They will also have to figure out when in a patient’s life is the best time to deliver a certain gene therapy. But will CRISPR-based technologies be used one day to treat, cure, or prevent Marfan syndrome and related disorders? The short answer is a “definite maybe.” As always, the devil is in the details, and for people with Marfan syndrome the question is really whether it can be done in the whole body and what tissues and cells should be the targets. Would it have to done early in development in the embryo or the fetus, or could it still be useful in the newborn, the child, the adolescent or the adult? CRISPR is a technology that has the potential to radically alter the expression of many genetic conditions and could one day be important in the treatment, prevention, or cure of these conditions. Or another breakthrough might end up being more significant. While these techniques offer hope for the future, they are still in the early stages of research and not yet applicable to people. To read about current research being conducted on Marfan and related disorders, please learn about studies that the Foundation is currently funding and opportunities to enroll in research.